Having closed out 2018 with two new equestrian fiction novels — Horses in Wonderland and Luck, I’m really excited to say there will be plenty of new fiction in 2019! This is going to be a very big year of goals, deadlines, and lots of frantic typing… in other words, it’s a dream year for a writer. It’s a big year for new equestrian fiction! If you’re looking for more of my equestrian fiction coming in 2019, the first place to start will be Patreon. If it goes live on Amazon, it will start its life at Patreon. And this year, Patreon will also be home to exclusive fiction. I’ve started the year with A Thousand Tiny Bites, a novella featuring split narratives from Jules (The Eventing Series) and Alex (The Alex and Alexander Series). Jules and Alex are together on the horse-shopping trip from hell! Every other week, Patreon supporters who subscribe from $1 per month get a new chapter of this unique novella — one week it’s from Jules’s point of view, and the next week it’s from Alex’s. This novella will remain exclusive to Patreon users after its conclusion, so if you want to read it, Patreon is the only place to find it. Plus, as a special bonus, when I reach $200 per month in subscriptions, I’ll create a special ebook edition of A Thousand Tiny Bites, just for Patreon supporters! The next update on Mickey and Jules is coming in 2019! 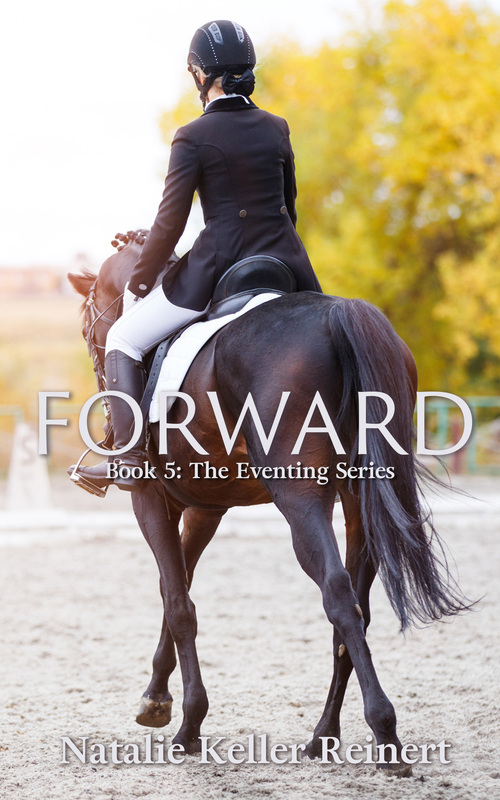 First draft fans who loved reading Horses in Wonderland as I wrote it are in for another insider look as I begin work on the fifth installment in The Eventing Series. Featuring the latest drama/adventures of Jules and Pete, a trainer couple with big dreams and little bank balances, this novel is going to be a wild tale with some new challenges for the team and their beloved horses, including Dynamo, Mickey, Regina and more. Patreon supporters with a $5 per month subscription will get to read the new Eventing Series novel in its first draft form as I write it, plus receive a download of the finished book upon ebook publication. Plus, the first draft chapters of Horses in Wonderland are still in the archives, and I’m not planning on taking them down–enjoy! This is just the start of 2019’s writing agenda, so if you’re looking for new equestrian fiction in 2019, stay tuned! There are a lot of new words and stories coming from this writer. Be sure to explore the tiers at Patreon — I’ve added a lot of variety so that there is plenty of content and value for everyone. It’s the best way to get first access to my writing, plus help support the creation of new stories. Without my Patreon supporters, I would not have been able to publish Horses in Wonderland last year. It’s just an incredible way to connect and gain the financial support I need to put aside commercial work and focus on fiction. UPDATE: The COURAGE box is sold out! Thank you so much for your interest. For autographed copies, please send me an email at natalie at nataliekreinert.com. Excited for the release of my newest novel, Courage? The latest addition to my bestselling Eventing Series has already hit number one on the Amazon equestrian bestseller list, and it’s still only in pre-orders! I can’t wait to share this new story of Jules, Pete, and the eventing life with you. 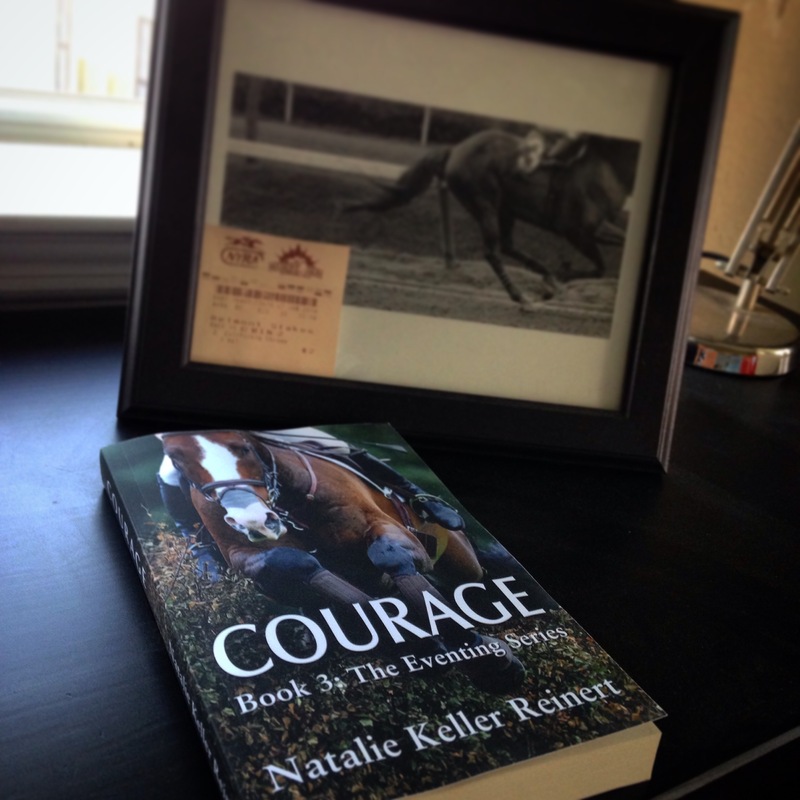 Get your paperback edition of COURAGE with handwritten notes and special equestrian extras! Because I wanted to add a little something extra for fans, for Courage I’m creating an exclusive, limited-edition box which you can only order from me directly. If you’re interested in the creation of The Eventing Series, this box contains a few items which will give you some insight into my writing process. There will be hand-written notes for Courage, plus one of the novels I read during the writing process which in turn helped inspire and shape the story. -A signed paperback edition of Courage with hand-written notes from me about the story’s development and writing. -A paperback copy of an equestrian-themed novel I found inspiring in the writing of Courage, which I’d love to share with you. -An equestrian gift to make your reading time a little more special. It’s not always easy to connect with readers on a personal level and I hope with these boxes I’m able to share with you some of the inspiration and background on this story’s creation. Courage was an intensely emotional experience for me to write and edit, and I want to share some of those emotions with you, the readers who have made all these books possible. Each box is $40 and includes shipping in the continental United States. (International orders are not available at this time). I’m only creating a handful of these boxes and personalizing each annotation of Courage, so please email me right away to reserve yours! I’ve been writing horse books for the past eight years. It started out as a wish: I wish there were more horse books I wanted to read! It turned into a project: I’m going to write a book I’d like to read. It ended up as a career: in 2019, I decided to write horse books (and some other fiction) full-time. So You Want to Write a Horse Book is a blog series I started in 2016 to help answer the questions I regularly get from aspiring equestrian fiction writers. Whether you want to write young adult, middle grade, chapter books, or adult fiction for equestrians, there’s a big beautiful publishing world waiting for you! Let’s talk about how to write horse books. You’ll find posts in this series on everything from how to ask for criticism (and not die of embarrassment/horror when you get it) to how to choose your book’s cover image. 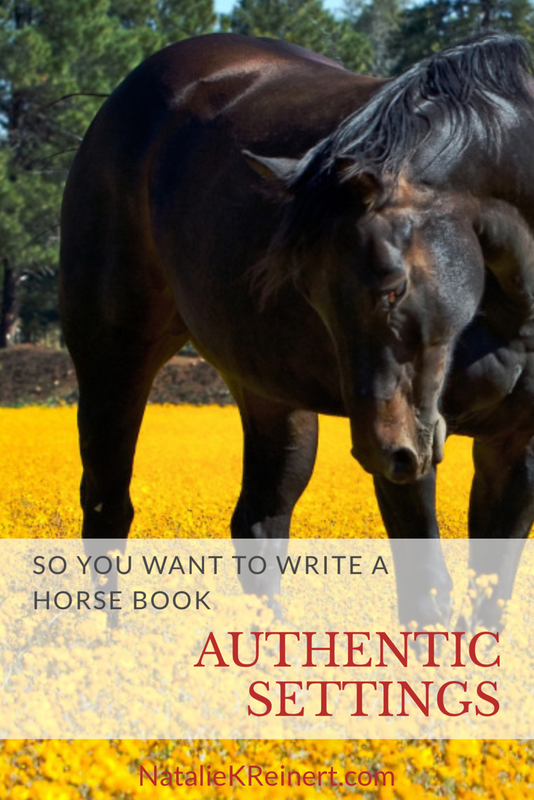 And anytime you have more questions about how to write a horse book, just ask! Leave a comment or send an email, and I’ll try to answer it for you. What is a Horse Book? A horse book, in my definition, is a book about equestrian life. It can be a romance, a literary fiction, a mystery novel, or even a steampunk combination of all three of those things. What qualifies the book as a horse book is that it has scenarios and characters recognizable to the equestrian community. I classify what I write as Equestrian Fiction. That means my books are written specifically for equestrians to understand and enjoy. I don’t spend a lot of time explaining equine terms, trusting that non-equestrian readers can judge what I’m talking about based on context, use Google to learn more, or simply move on and enjoy the story. I also write with an adult audience in mind, although I recognize that in the equestrian world, teens are often living very adult lives, so I consider them my audience, as well. This genre didn’t always exist, and if you ask a big book retailer, it still doesn’t exist. That’s why Equestrian Fiction dominates non-fiction categories like Horse Care, and Equestrian Sports on Amazon. It’s just one of those things you’ll have to deal with if you write equestrian fiction: this genre boasts the most popular books for equestrians, but no real category. Equestrian Fiction is growing by the month. Established writers are continuing their series, and new writers are showing up with fantastic reads. If you’re tempted to join the fun, this blog series is for you. Here’s what you should know, first and foremost: there are a handful of highs and a truckload of lows when you write your first novel (and your second, and your third, and your fourth…) and when we’re marketing our books directly to our readers, we have no choice but to face the criticism head-on. While some writers with major publishing deals can say lofty (and probably untrue, but whatever) things like, “I never read the reviews,” if you’re a new, independent writer sharing good reviews to try to drum up good press, you’re going to have to read the reviews. And some of them will make you cry. That’s okay! Your dressage (hunter/jumper/western pleasure/fill-in-the-blank here) trainer has made you cry, but you still ride, right? We’re equestrians, so we’re used to pain equaling gain. We’re used to falling down, dusting ourselves up, and mounting again. Maybe that’s why we’re hanging on, growing, and actually thriving in such a difficult industry. It’s just really hard to mash down a determined equestrian! Writing for any audience is tough, but writing for equestrians is exceptionally challenging. In 2012, I interviewed Pulitzer Prize-winning author Jane Smiley for the equestrian lifestyle site, Dappled Grey. Jane Smiley stormed into the equestrian scene with her massive racing/showing novel Horse Heaven, and became as common a barn name as any big name trainer. I remember working at the Ocala, Florida branch of Barnes & Noble when Horse Heaven was at its height. I was selling copies one after another to well-known hunter/jumper riders in town for HITS. I was actually star-struck by some of the luminaries who walked in and asked for the book by name. But Horse Heaven, for all its popularity with the equestrian community and the wider world, didn’t get a follow-up. Instead, Smiley began a children’s series, beginning with The Georges and the Jewels, which taught excellent horsemanship, but didn’t get into the complicated and very adult lives of modern riders, trainers, and owners in the racing and showing business–something I loved because it reflected the world I lived in so beautifully. So I asked Smiley, why did she stop writing equestrian novels for adults, when Horse Heaven was such a hit with her own crowd? Imagine writing huge multi-generational trilogies, imagine winning the Pulitzer Prize for fiction and having your novels turned into movies, and then finding equestrians too picky an audience to continue writing for. That’s what you’re up against when you decide to write a horse book. But that’s okay. There are ways around this. There are ways to find your voice. There are ways to prove yourself to your audience. And that’s what we’re going to talk about in this blog series. 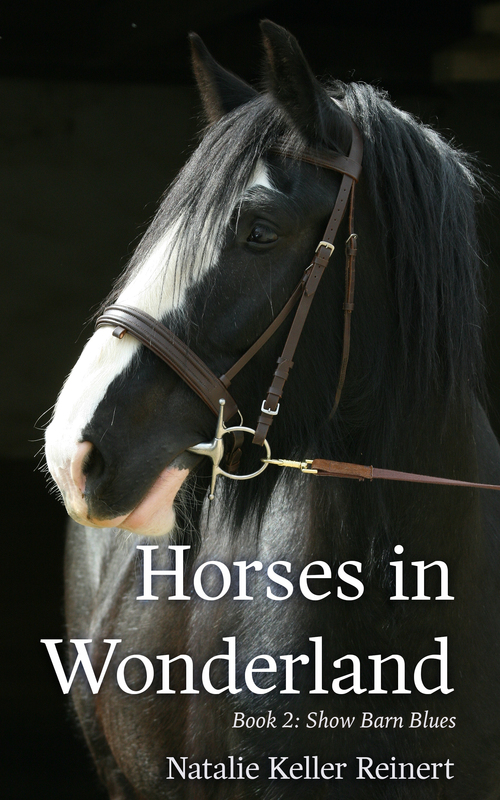 Watch this space for a post each week on writing horse books. Feel free to chime in, comment, and ask questions. Send me an email if you don’t want to go public with your writing aspirations; I promise confidentiality. Let’s talk about writing. Because honestly? I want to read your books. I write for this genre because eight years ago, sitting at my computer, I realized that all I wanted to read was more Horse Heaven. And no one was writing it. So I wrote the book I wanted to read. I’ve come a long way since my first novella, The Head and Not The Heart. I’ve made it through bad reviews and good, vicious emails and heart-warming messages, and even found myself in Lexington, Kentucky accepting runner-up at one of America’s richest book prizes before flying to Pimlico for a festival-day book-signing. I’ve spoken about the horse in fiction at Equine Affaire. I’ve been invited to work on conference proposals exploring animals in literature. It’s an exciting adventure, being an equestrian fiction author. I never know what’s going to arrive in my inbox next. I love my writing life; I’m grateful for my writing life, which readers grant me every day when they choose to read my novels, and I want to encourage, nurture, inspire, and help new writers join the ranks in any way I can. Let’s talk horse books, and writing them, together. I think this is going to be a good time.